NVIDIA kicked off the inaugural GeForce eSports Xtreme Tournament (GEXT) in the Philippines today. With more than 100 gamer's will be battling for DOTA 2 supremacy, where two five-player teams fight to destroy the other’s Ancient building located within the opposing stronghold. Their reward: PHP 225,000.00 in prize money. The tournament aims to grow the DOTA 2 gaming community in the Philippines by creating more accessible opportunities for casual gamers. No professional gamers will compete in the preliminary round to give casual gamers a better chance of making it to the qualifying rounds of the tournament. Matches from the qualifying rounds onwards will be done in all NVIDIA Certified Cafe's nationwide. The competition will take place in 8 iCafes in 4 major cities across the country. If you want to join the NVIDIA GeForce eSports Xtreme Tournament please come early! The finals, which will happen in November will be streamed to allow the gaming community across Philippines and around the world can follow the development online. 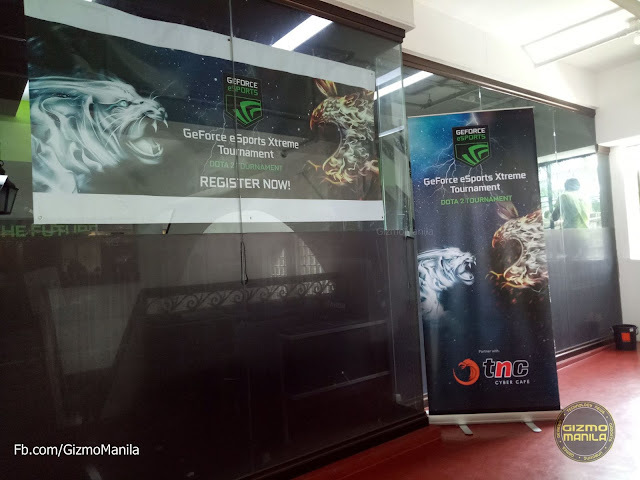 NVIDIA GeForce eSports Xtreme Tournament partners supporting the event are Palit, MSI Philippines, ASUS Philippines, Galax Philippines, Ballistix, Zotac Philippines and Inno3D Philippines, PLDT, IN WIN and SM Light Mall.